Cian is a 38-year-old multi-medalist and one of Ireland’s longest-serving team members. 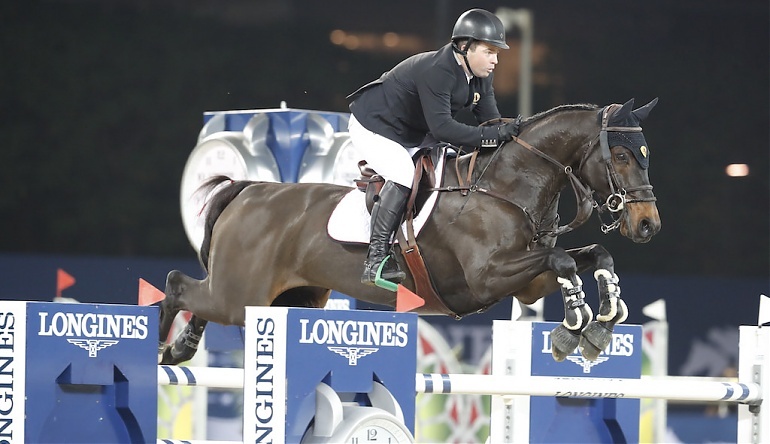 Married with two children and dividing his home base between Ireland, Germany and Florida, he competes at the very top level of international show jumping. Having ridden in his first Nations Cup for Ireland at the age of 19, he has gone on to achieve a remarkable record in selections for the Irish team, with 118 appearances to date under his country’s flag. An Olympic individual bronze medal-winner at London in 2012, Cian has maintained a high level of success, and in 2017 added a European gold team medal and a European individual bronze medal to his record. Known for his rigorous planning and attention to detail, Cian and his Karlswood team spend almost 12 months a year traveling the globe to compete at the world’s top shows, and to attend to the careers of his clients whom he coaches, who themselves are starting to reflect the success that made their mentor a household name in show jumping circles.